In the event that two or more parties need to come into some sort of agreement before any kind of business can take place, then that would mean an agreement document will need to be made. 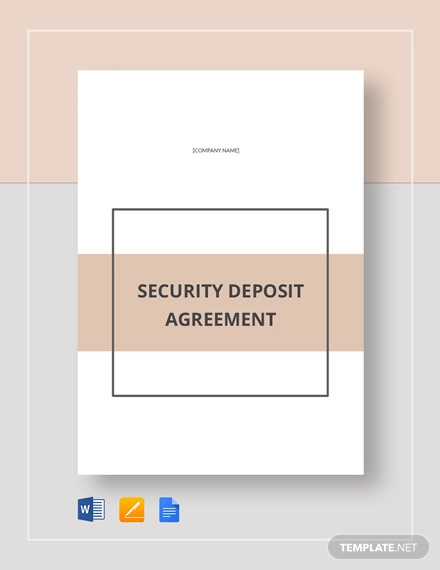 The kind of agreement document will depend on the matter such as the requirement of a Services Agreement in the event that a service provider and a client will need to come to terms in regards to how a particular service will be done and compensation. Another example would be the need of a Consulting Agreement should a consultant and a client need to agree on how the consulting service will be provided. 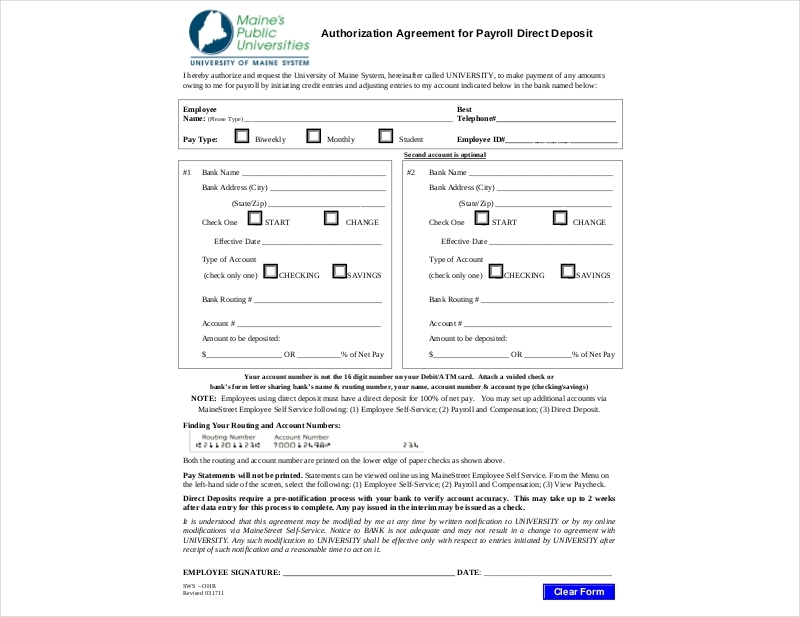 So what if you would like to create an agreement in regards to an employee’s pay being directly deposited into his or her bank account? This would mean that you’ll need to come up with a direct deposit agreement and this article will teach you how to make one. 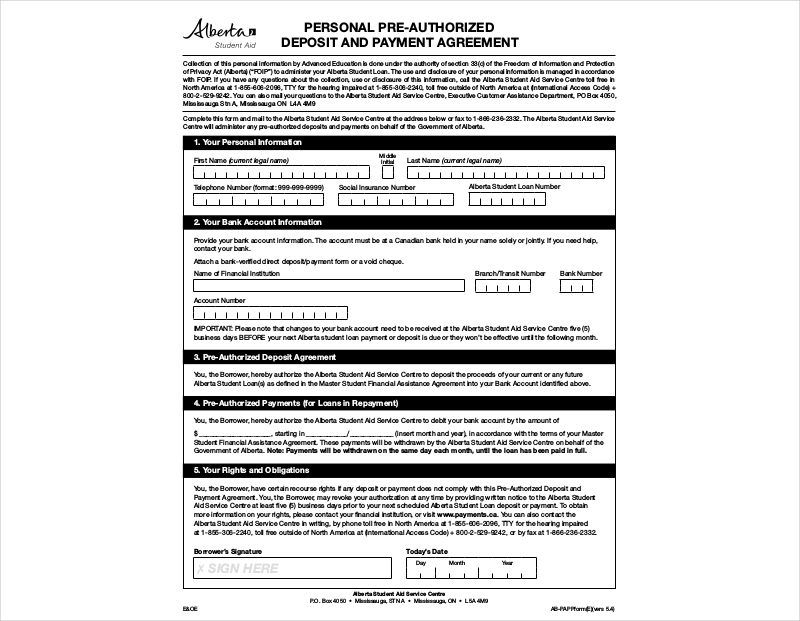 If you’re an employee and you want management to directly deposit your pay into your bank account, then expect to come across this document. 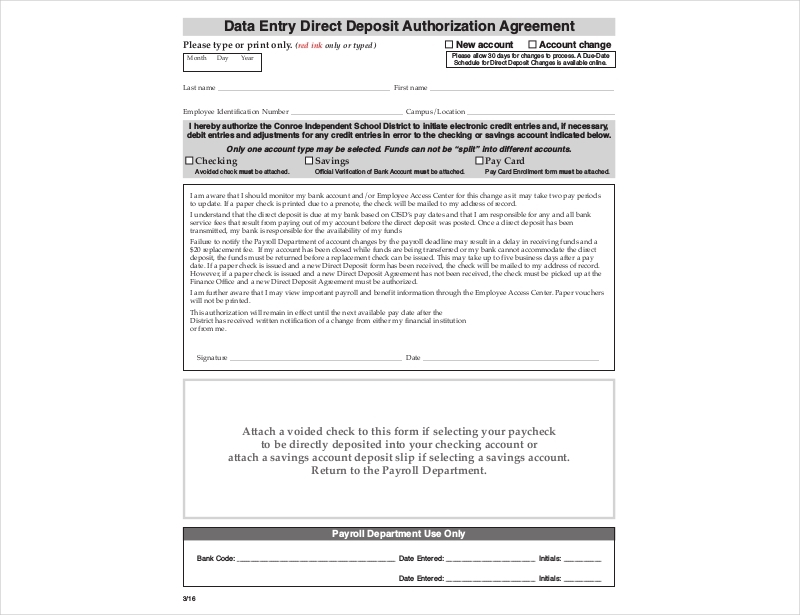 You’ll see that it will contain information regarding what terms you’ll need to agree to before you can have you can have any portion of your payroll check deposited right into your bank account. You may also see simple agreement. In the event that you’re in charge of creating the document, then you should know that it’s similar to a Loan Agreement or an Assignment Agreement in terms of it needing the necessary information that will help both parties involve what terms and conditions need to be met before anything can take place. 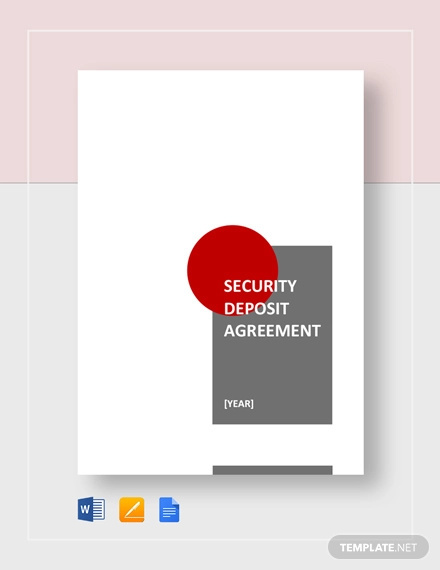 The first step when it comes to making an agreement document is for you to give it the appropriate title. By doing this, any person who decides to go through it will immediately know what its purpose is. The only thing that you have to do is be direct and point out that it’s a direct deposit agreement. This way, there’s no room for confusion. 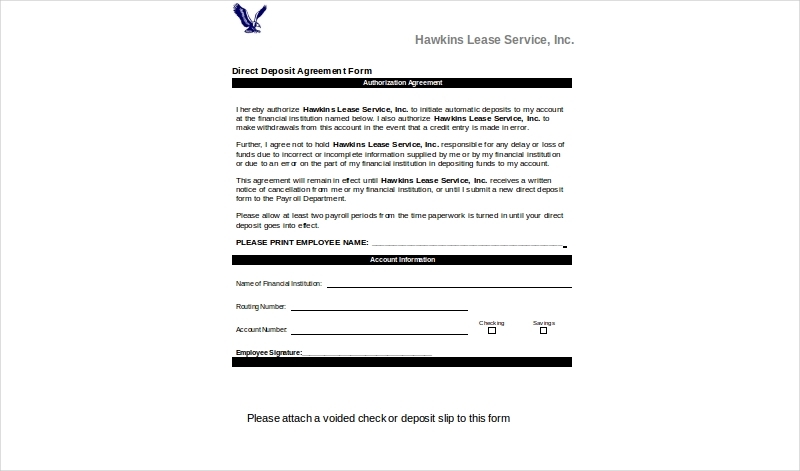 You may also see legal document examples. Let’s say that you had to go through a Credit Agreement. You’ll notice that there is a section in the beginning which points out who the person obtaining the loan is and the entity that’s providing the loan. In your direct deposit agreement, you’ll need to do the exact same thing where you need to point out the parties who will be involved. 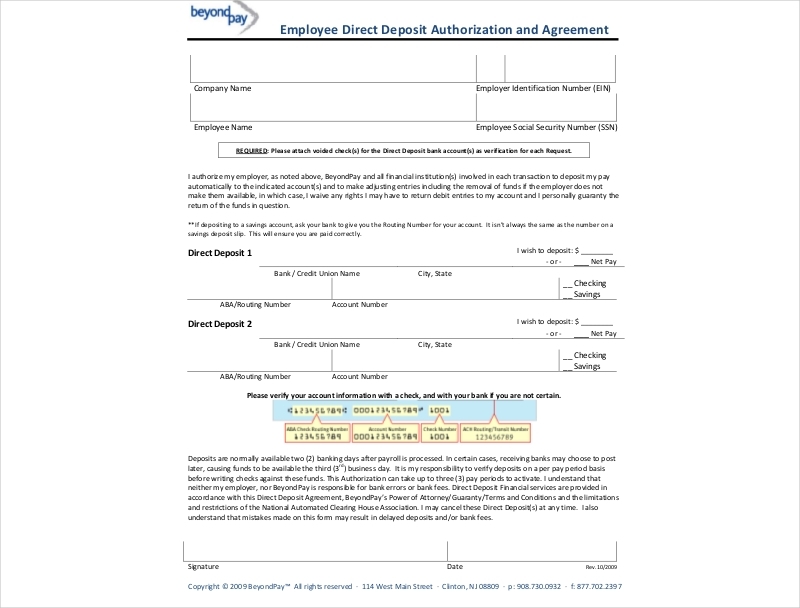 For a direct deposit agreement, it’ll be the employee, the bank to where the direct deposit will be made to, and the entity the company that will be in charge of handling the direct deposit. Be sure to include details such as the complete name of the employee, company, and bank so that they’re easily identifiable. Also, don’t forget to mention what roles they have in the agreement. Much Like a Subscription Agreement or a Shareholders Agreement, there needs to be a couple of terms and conditions that one party will need to agree to before any kind of service or business can take place. This way, the person who has to sign the document will know what it is that he or she is agreeing to. The amount of money that the employee will want to have directly deposited will happen on the first banking day following the date of the check. 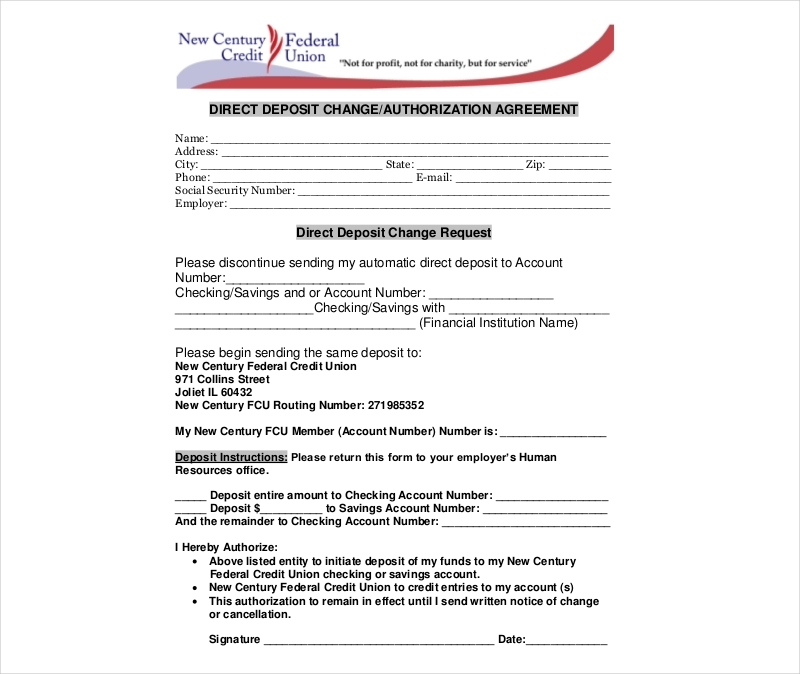 Although this won’t always be the case, this is the standard for just about every direct deposit agreement. You may also see deposit receipt examples. 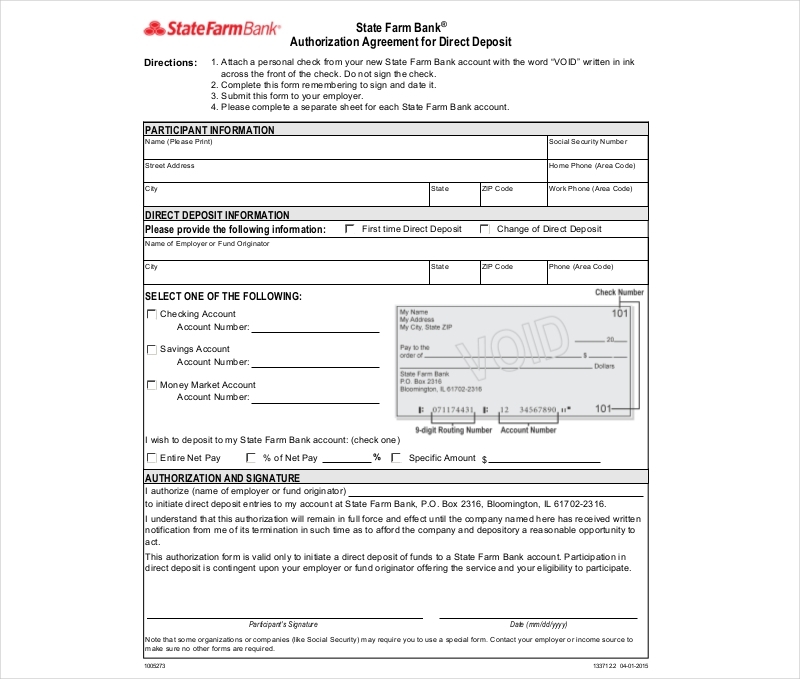 Void checks that are involved in the direct deposit must be resolved by the employer and the employee. While this doesn’t always happen, there are times where an employee’s check is rendered as null and void. Should this take place, the employee must resolve the matter with the employer as the bank or whatever financial institution isn’t legally obligated to handle such matters. You may also see check your credit report. A fee will be charged to the employee should there be any items returned due to incorrect information that was given to the financial institution that’s listed in the agreement document. The amount that will be charged will differ on the financial institution, but there’s usually a standard within every country. Be sure to go through this section to ensure that you’re only paying the amount you’re supposed to. 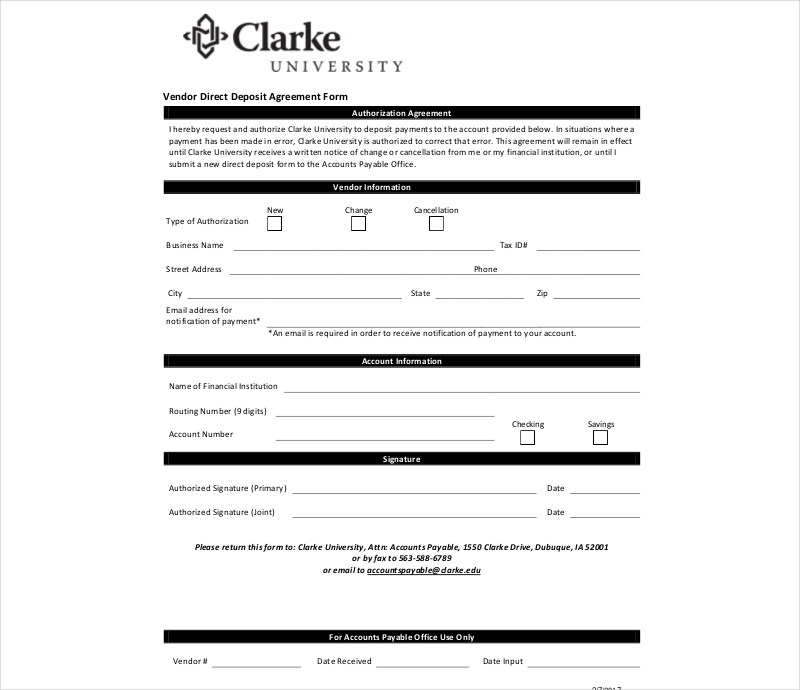 You may also see printable agreement examples. The employee will be charged at the start or change of the employee’s direct deposit information. Again, the charge will differ on the financial institution which is why it’s best that you do your research before you sign the agreement document. If the employee would like to change anything in regards to his or her direct deposit, there must be a simple statement regarding what has to be done in order to do that. One can state that it should be done via the employer or directly with the financial institution itself. 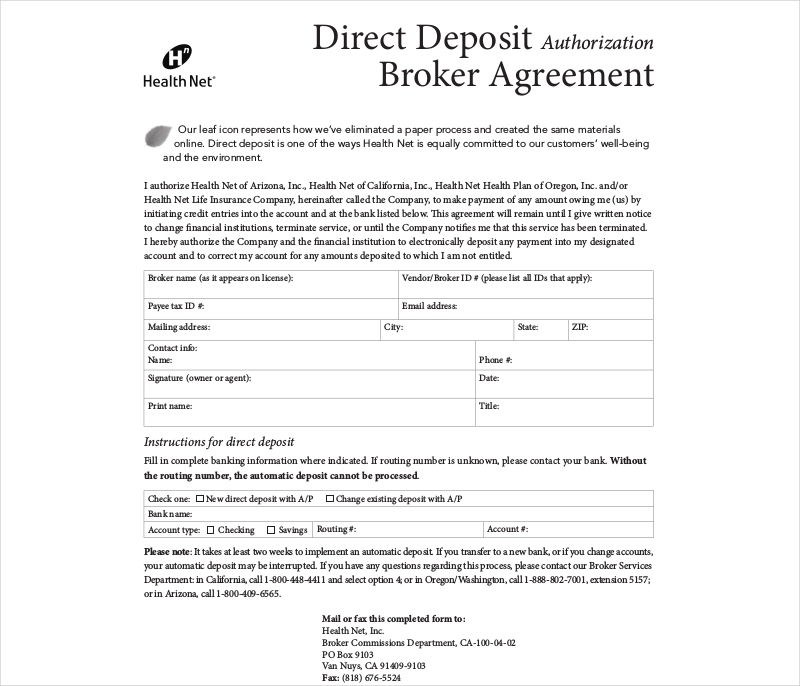 You may also check out our other documents that deal with similar matters such as a Commission Agreement or any other document on our site. Before any kind of direct deposit can be made by a company, it will require the necessary information from the employee to guarantee that there are no problems when it comes to depositing the employee’s payroll check into his or her bank account. 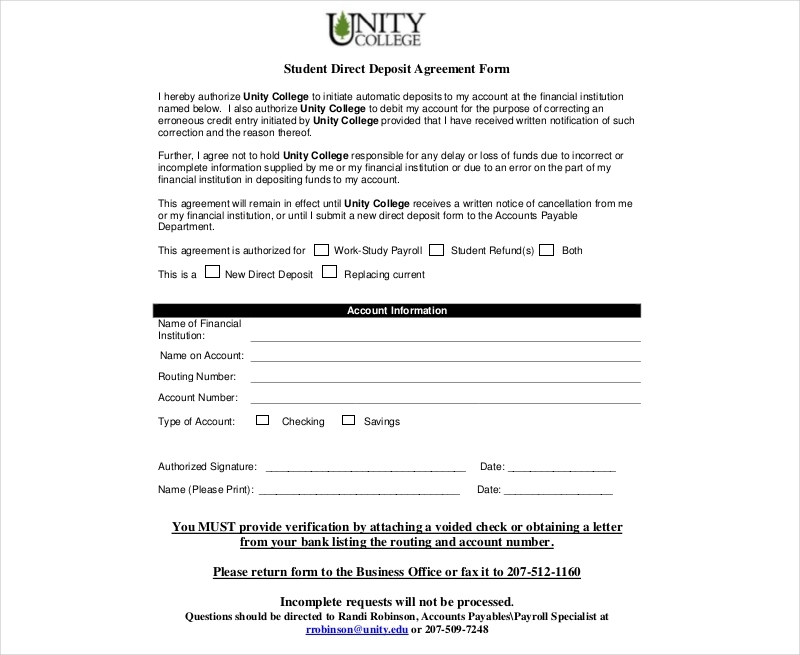 Which is exactly why there should be a sample statement within the direct deposit agreement document which will tell the employee to fill up a section where he or she can input the required information. Remember that all of this is to make sure that there will be no issues when the employee’s pay is directly deposited into his or her account. 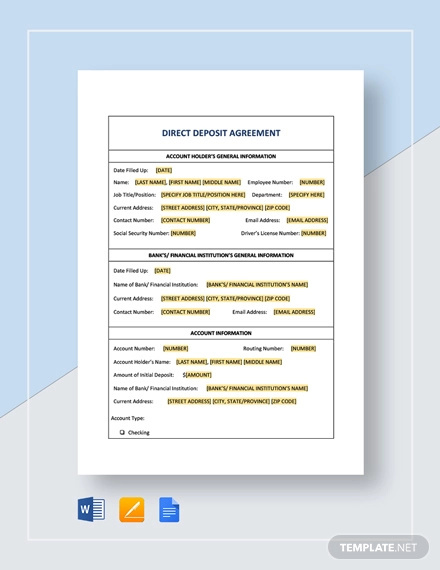 Now that you’ve written down everything that the document will need, the next step is for you to include blank spaces where those who are involved may be able to place their signatures in. The reason as to why you will need them is because they show that all the parties involved are in complete agreement of the terms and conditions, meaning that the direct deposit will take place so long as everyone is able to provide what they need to. Aside from the signatures, be sure that there’s a space for where everyone involved may include their names and the date in which the document was signed. Before you can have anyone signing the direct deposit agreement, you have to make sure that there are no errors when it comes to spelling grammar. Not only that, you want to make sure that there are no errors when it comes to the information regarding the employee’s direct deposit. 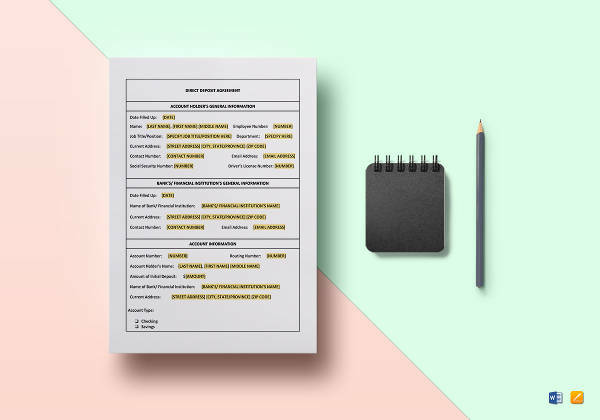 It’s best that you go through the document at least twice or even more to guarantee that you’re able to spot any mistake that you may have missed if you check just once. The moment that you spot one, change it immediately. You may also see agreement examples in word. 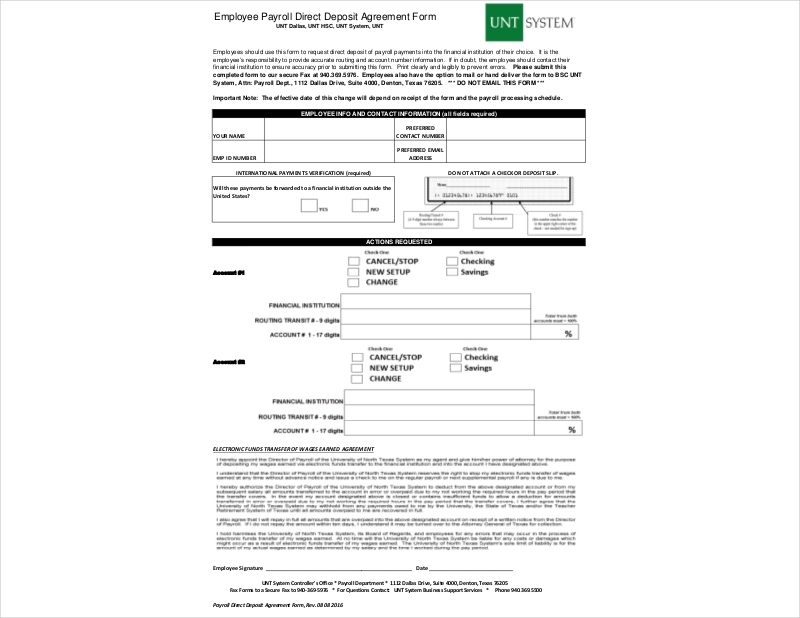 If you would like to learn about other types of agreement documents – such as Donation Agreement, confidentiality agreement, Purchase Agreement, Stock Agreement, etc. – then all you have to do is go through our site. It has all the articles you’ll need to help you out, just be sure to go through them thoroughly to ensure that you’re able to fully utilize whatever you have been able to learn and gather.